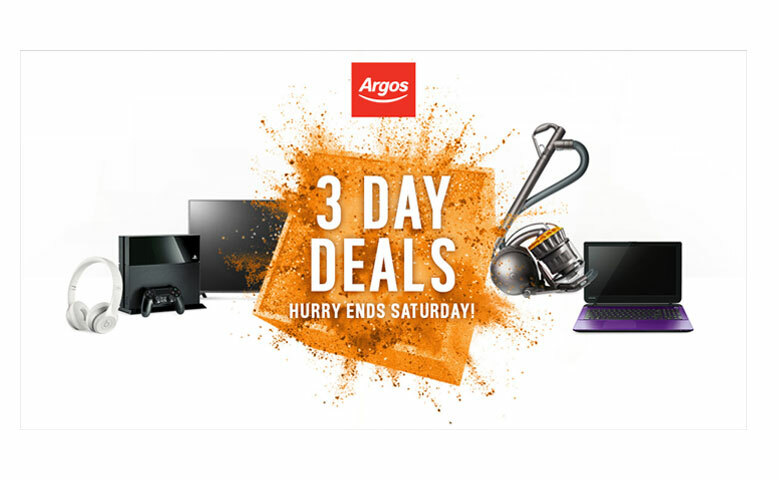 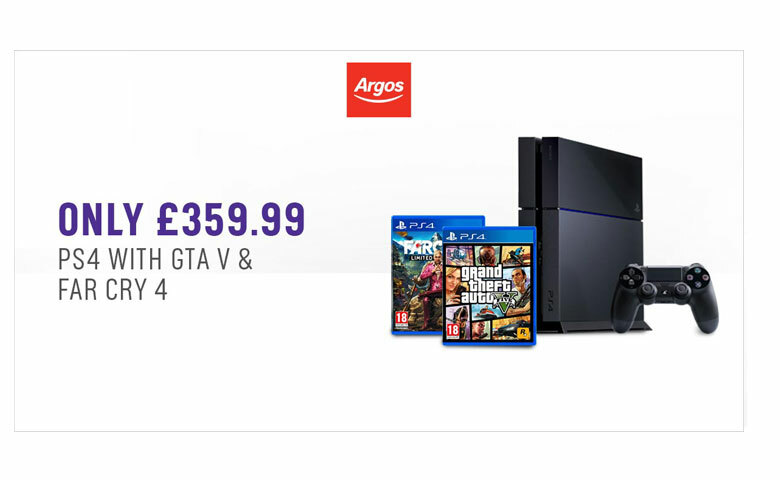 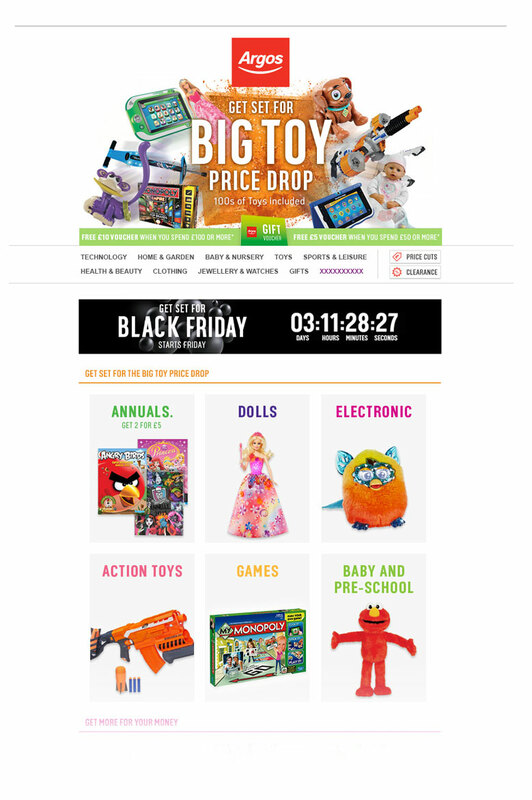 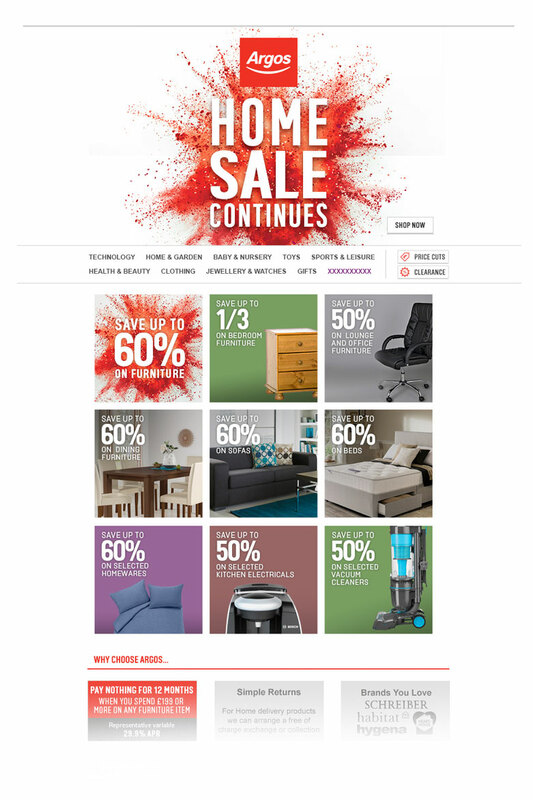 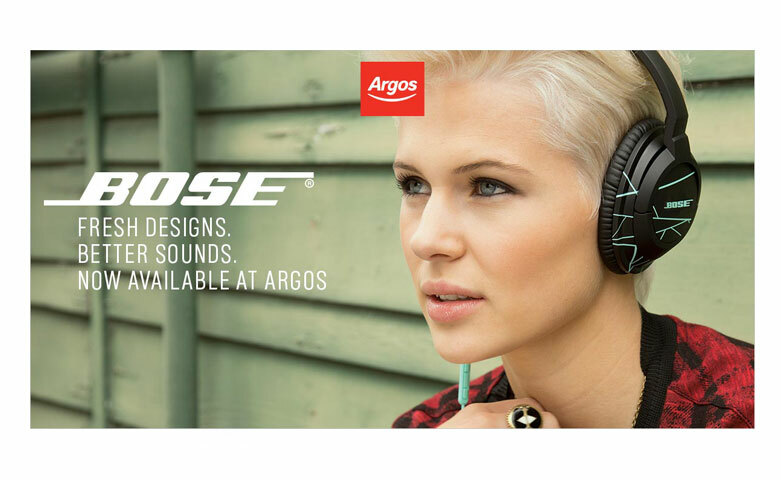 Argos is the UK's largest high street retailer online and has 740 stores nationwide. 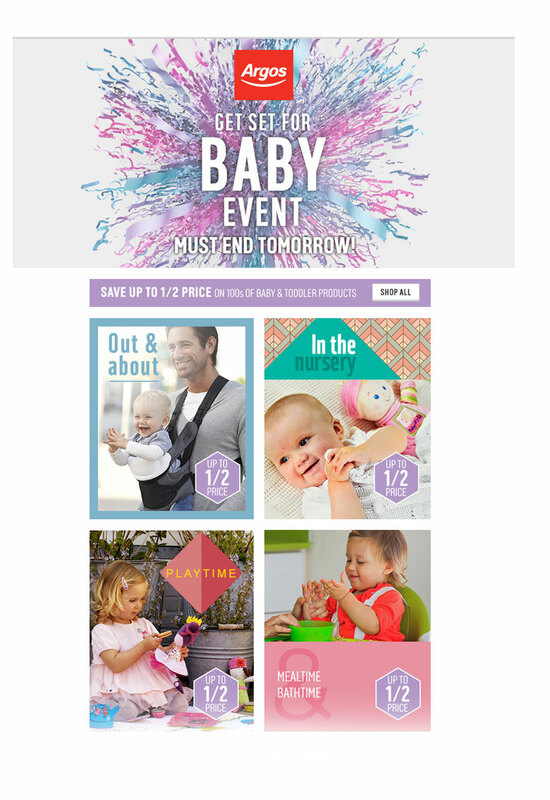 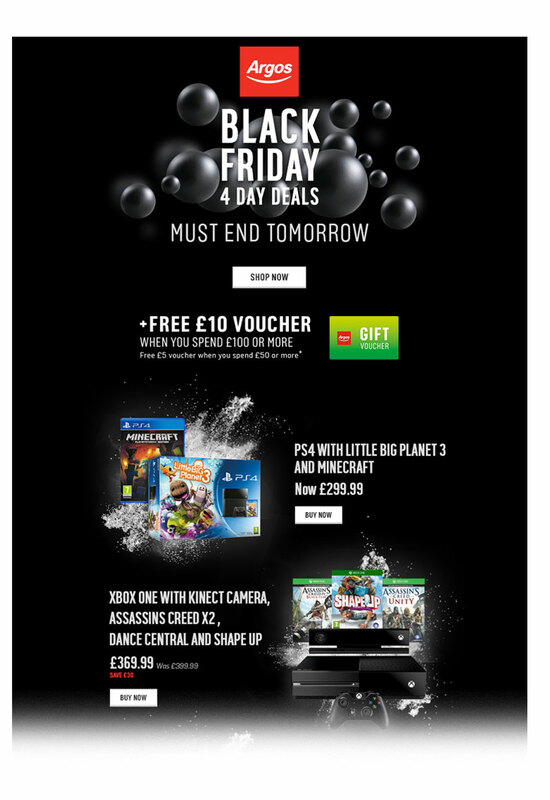 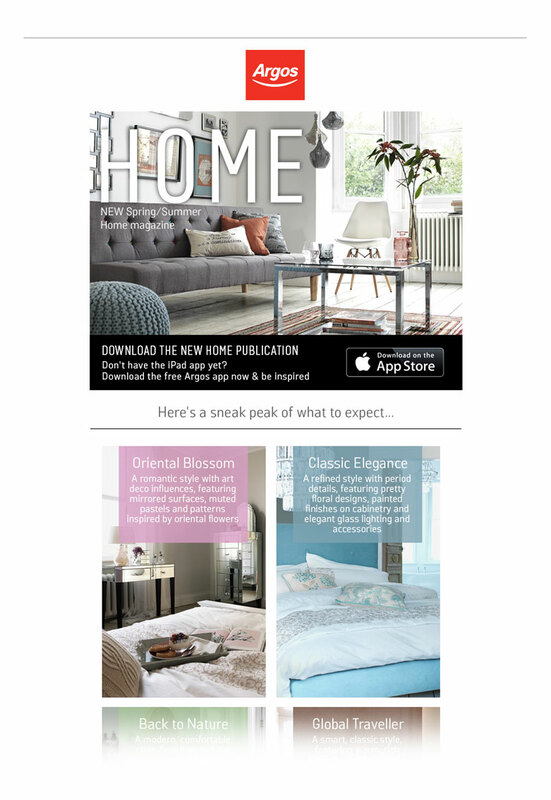 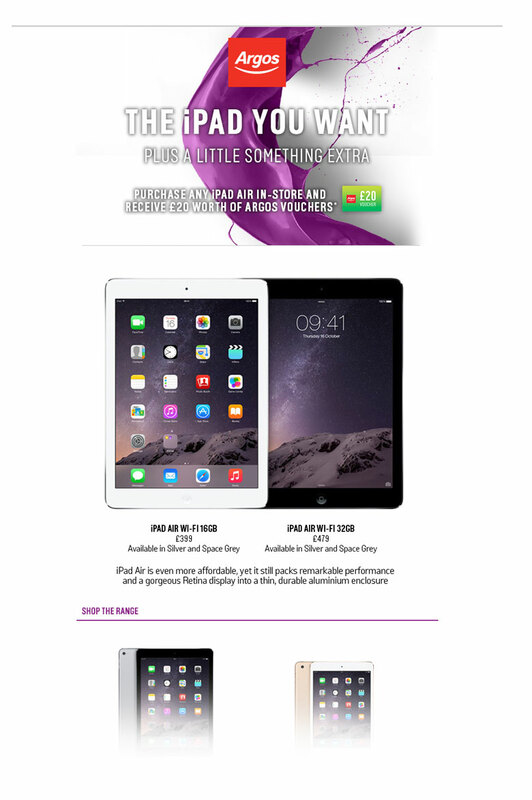 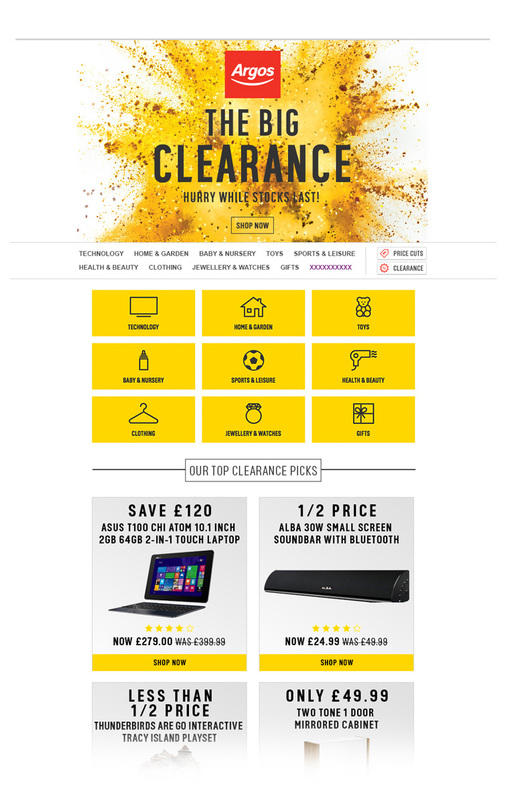 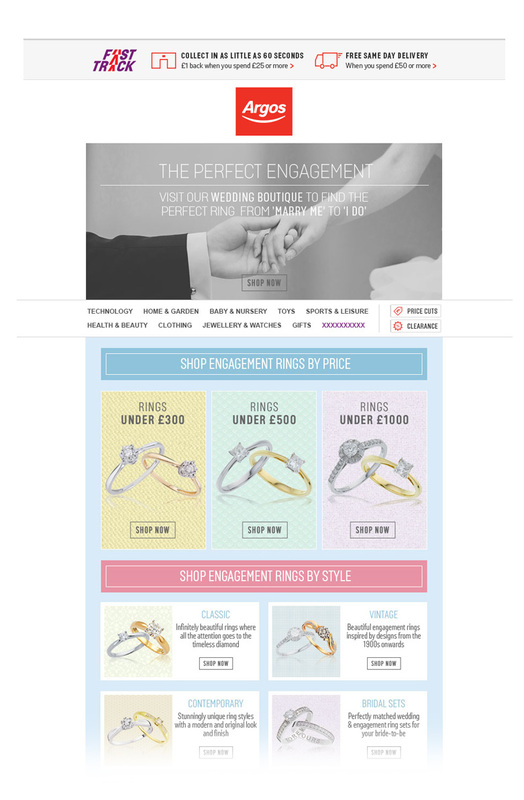 I worked mostly on e-mail designs to be sent to Argos’ 8.5million email subscribers. 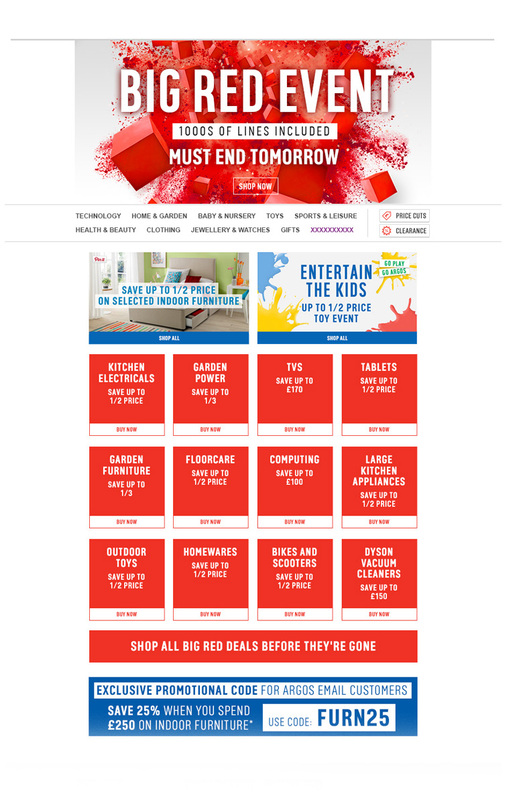 I was also involved with designing and coding promotional static web pages and banners.